A county council is facing a "severe and immediate risk" of being unable to provide enough secondary school places from September. A schools report for Northamptonshire County Council revealed too few places in three towns: Northampton, Kettering and Corby. Northampton is facing a shortage of 150 places for the new Year Seven intake. Some Corby pupils will have to be bussed nine miles to Oundle to attend a secondary school. 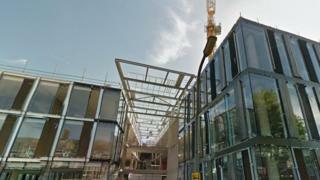 A spokesman for the Conservative-run council said it had been working "with academies and schools in the town to provide temporary additional capacity for Year Seven pupils". Opposition councillors claim the authority, which is due to be scrapped next year, had known about the shortage of places for years and failed to tackle it. There are currently 47,040 secondary school pupils educated in Northamptonshire and education officers say the number is expected to increase by 22% by the end of 2026, as reported by the Local Democracy Reporting Service. The county's schools organisation plan has forecast a shortage "in the county as a whole from the 2019-20 academic year onwards and for as long as projections are available". The plan stated the reasons for the lack of places were a spike in birth rates that is now affecting secondary schools, migration into the county, the number of new homes being built and the authority's reliance on academy trusts and free schools to provide the additional spaces. The council believes extensions to six existing secondary schools and two brand new secondary schools are needed by 2023, as a minimum. New school places are paid for by a combination of basic need grant funding from central government, contributions from developers and borrowing. In 2020-21 the authority will receive nothing, due to a review of previous years basic grant fund payments. A report outlining the measures being taken to increase school places will go before the council's cabinet next month.